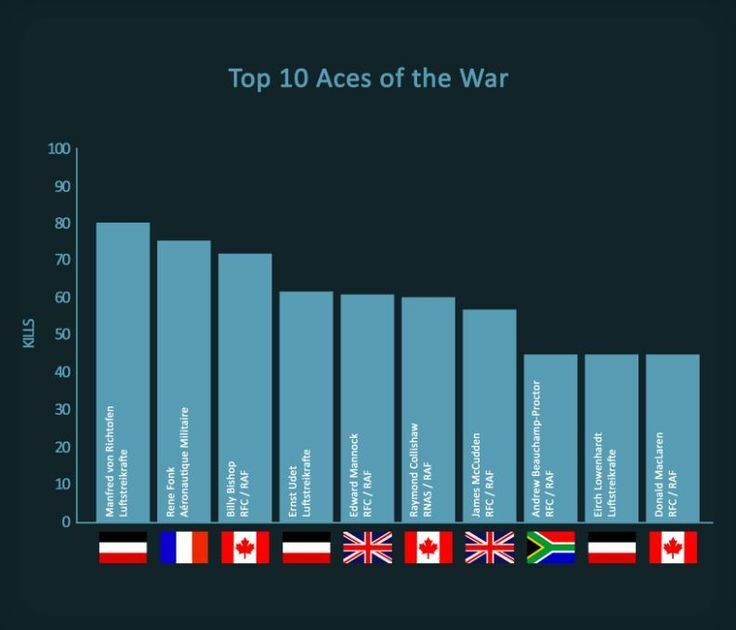 What more do you need to known about WW1 planes ?. -First off; of the 219,800 planes built in these four years, more than 3/4 belongs to the entente powers (France 67,987; UK 58,144; Russia 4,700; Italy 20,000; USA 15,000) and of the remainder, 90% would be built by the German Empire alone (48,537 vs 5,431 for Austria-Hungary). -There has been about the same production and first line numbers comparatively by Nation: France in 1918 had 4,500 versus 3,300 for the British RFC, 2,390 for the Luftreitskräfte, 1,200 for Italy, and 740 for the US. Small Belgium operated 24 planes. -Losses also reflected the numbers involved, but the allies suffered comparatively much more: 52,460 + 35,973 vs 27,637, that's almost nine aircraft shot down for three Germans ! -Strategic bombing was "invented" in 1918 but theorized after the war (in particular by Italian general Douhet), Zeppelins raids on civilian population in a way pioneered the psychological effect of a "total war" that was to be pursued in 1918 on British and German side with a new wave of heavy bombers. Had a more year passed, strategic bombing would probably have existed in a scale reminiscent of ww2. 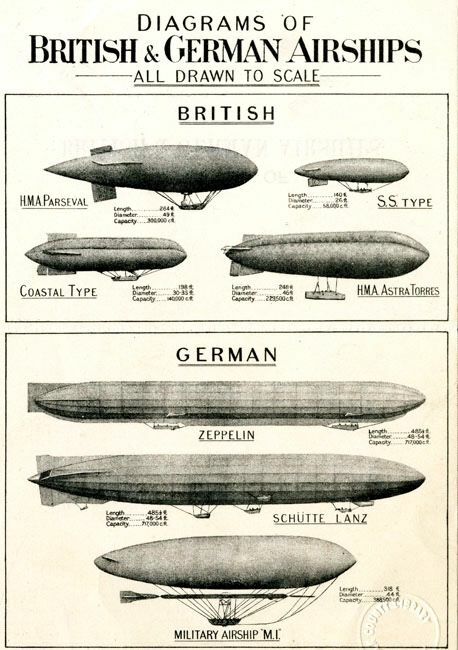 -Naval air service was also invented in WW1. From Eugene Ely first flight from a cruiser in 1911, to the first naval air raid by HMS Furious on Zeppelin hangars in 1918. Not to mention the hundreds of floatplanes monitoring the Atlantic, in search for U-boats. -Within entente powers, France would manufacture the bulk of airplane wartime production and almost 80% of engines. SPADS and Nieuports equipped the British, Italian, American, Russian, Dutch and Belgian air forces among others.